"And Moses chose of his people seventy men for Our appointed tryst and, when the trembling came on them, he said: My Rab! If You had willed You had destroyed them long before, and me with them. Will You destroy us for that which the ignorant among us did ? It is but Your trial (of us). You send whom You will astray and guide whom You will: You are our Protecting Friend, therefore forgive us and have mercy on us, You, the Best of all who show forgiveness. " 7:155 Al-Araf. Some readers have opined that this Verse refers to the same occurrence as Prophet Moses' meeting with The Almighty when Moses was given the Divine Revelation. But from what I know, Prophet Moses went alone to receive the Divine Scripture from The Almighty. That's right. Prophet Moses went alone for the Divine Revelations when he also spoke to ALLAH. The incident referred in V.7:155 is different which happened later. Prophet Moses and 70 other men (obviously men of good repute) were apparently summoned by The Almighty so that they present themselves before HIM on behalf of the community to beg forgiveness for the sin of worshiping the golden calf committed by the people and to renew the covenant of obedience to Allah alone. We are not sure of the venue of this occasion. Some commentators mention Mount Sinai but the Quran does not confirm that. According to the Talmud, which is the Jewish hadith similarly full of lies and disinformation, claims that the purpose of this meeting was to provide Prophet Moses with new tablets because some of the old ones were broken when Prophet Moses cast them down in anger after seeing the Israelites turning back to idolatry. None of the tablets containing the Divine Commandments ever broke. Moses simply put the tablets at a certain place, and then, in utter shock and anger went to speak to his brother Aaron who told him what had happened. Thanks plenty Sis Heba. I didn't know this. Btw, the Talmud's lie of tablets breaking has such a striking resemblance with the nature of lies in the hadith. Salaam and thank you Sister Heba. That was informative. So actually we are not sure that it was Mount Sinai where Prophet Moses received the Divine Commandments or some other spot in the region close by, right? The Arabic word used in the Quran for mountain is 'Jabal' in many Verses in connection with various topics. But when the Quran refers to the location where Prophet Moses was summoned by The Almighty, it mentions the word "Tur" (طور). Readers have not been able to give any confirmed reason for that. It's very interesting to note that Allah Almighty has specifically decided certain information to be undisclosed to humans. Example, no one except Allah knows which precise day is the Night of Qadr during the month of Ramadan. Similarly it appears that Allah has decided not to disclose the exact location where Prophet Moses (pbuh) was summoned. For everything not disclosed to us, HE has a perfect reason. 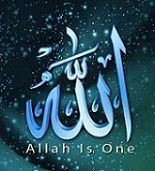 All praise be to Allah alone. Welcome dear Sis Zeynab. That's a great point you brought up. The Arabic word for 'mount' is 'tur.' Actually the Arabic word 'jabal' does not carry a very different definition from the English words 'mountain' or 'mount.' The term mount actually relates to mountain. 'Mount' is primarily stated to define the name of a mountain or the name of the place where the mountain is located, and thus that mountain gets its name from the place where it's located. E.g Mount Everest is simply the name of the mountain. Mount Sinai is the name of the mountain located in the Sinai peninsula. Similarly when the Quran mentions the word "tur" or "Mount" it may automatically refer to Mount Sinai as that's the most predominant mountain in the region. This is simply an opinion. Only Allah Almighty would know whether or not this opinion has the right connotation; also only HE would know the reason for not disclosing the location where Prophet Moses was summoned to receive His Commandments and the location where Prophet Moses was summoned with 70 other individuals. Mount Sinai (طور سيناء) is mentioned in the Quran in at least two Verses for sure, 23:20 and 95:2, but not in connection of Prophet Moses' visit. Very correctly put Sister Heba. The deviation of the Hebrews also proves that before Prophet Moses, these Hebrews were idolaters (cow worshipers). That's why they slumped back so quickly into their former state in the absence of Prophet Moses. They did this even after seeing with their own eyes the most amazing portent of Allah - parting of the sea. A very sensible opinion, Alhumdulilah. Yes, they were cow worshipers, similar to the hindus of india at present. And yes, just imagine! They personally saw such an awesome portent of Allah and yet slipped into deviation as they were before. This means basically they must have been very, very ignorant. That's correct sister. Deviants have their own variety, people can be misguided with many different sick ideas. Alas! how they're wasting their time on earth. That's right brother TS, sister Heba. Those hebrews were originally cow worshipers similar to the hindus of India at present. That was proven by the nature of their deviation. It was indeed indescribably shocking and shameful that they slipped back into the ignorance of polytheism and disbelief after seeing such a magnificent and stunning portent of Allah right before their eyes. Such folks ruin their own souls.